What is a metal can? The metal cans are often what we say easy-open cans, the can lid and body are produced separately then assembled together finally. There are two kinds of materials for making cans: aluminum and tinplate. Because aluminum has a high recycling value, for the consideration of environmental protection, most people start to use a large number of aluminum material. For aluminum the strong opponent is PET materials in the packaging industry,because PET materials can be made different shape by injection mold grotesque, but aluminum is more difficult. But there has big difference in price, PET pricr is affected by oil price, but aluminum can be recycled by recycle, thus reducing material cost. In recent years, Europe and the United States and other cans of active consumption areas, constantly improve aluminum cans and aluminum packaging materials recycling aluminum, also make aluminum cans rampant. The advantages of this metal can are obvious, its tightness is very good, can withstand the high pressure, very suitable for the load carbonated drink which has a little demand on pressure, air and acid-resistant . For fruit and vegetable juices, organic acids are an important ingredient in determining their taste, which can show the aroma of a particular fruit. The content of sugar and acid in fruit and vegetable juice is the important reason of affecting taste, but organic acid has some corrosive property. In addition, the fruit and vegetable juice enzymes, vitamin C, pigments and other important components have a certain demand of light and temperature . 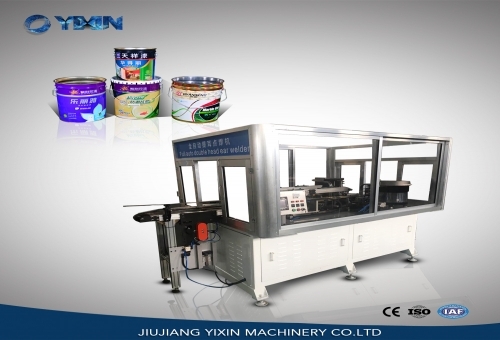 However, cans adopted tinplate three cans and aluminum two pieces of cans, and also coated epoxy phenolic coating (sometimes need to be epoxy phenolic coating on a layer of vinyl coating), so that those organic acid in fruit and vegetable juice is not a threat. What are the characteristics of YI XIN can seamer? How is soap made? What raw materials are used?